The magnificence of this piebald designer bangle comes from the glorious combination of gold plated brass metal and multicolored masonry that offer the bangles a superb and imposing look. The elegance of this multicoloured designer bangle comes from the magnificent combination of gold plated brass metal and multicolour stonework that give the bangles a Read More..brilliant and imposing look. 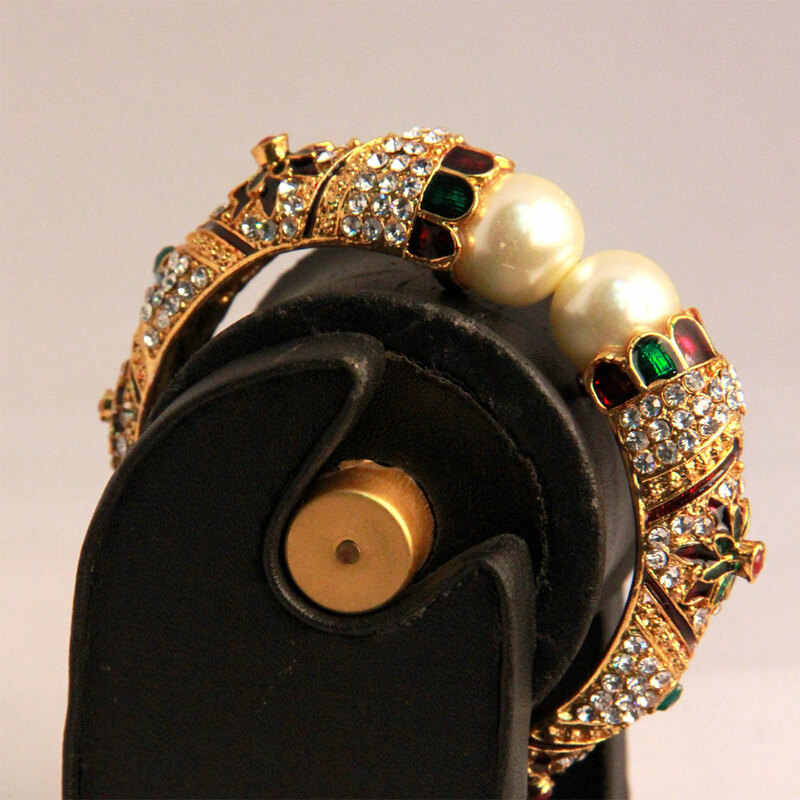 Adding to the grace of the bangle are the two enormous pearls placed at the head of this awesomely designed bangle. Show Less..